– Izadi offers wine lovers a combination of experiences which will surely broaden their insight into winemaking and gastronomy, and at the same time display the unique features of the area where its grapes grow. Monday to Friday: 12.00 and 16.00 h.
Saturdays and Sundays: 11.00 h. and 13:00 h.
Guided wine tour to the winemaking processes. Tasting of Izadi Blanco, Izadi Crianza and Izadi Selección paired with a small appetizer of selected products. Price/person (VAT included): 12 €. Guided wine tour to the winemaking processes. Tasting of Izadi Blanco, Izadi Crianza, Izadi Selección and Izadi El Regalo paired with a small appetizer of selected products. Four wines, four chesses. Visit Bodegas Izadi ending with an interesting wine tasting that will make your palate travel through four Spanish wine regions where Artevino is located: Rioja, Ribera del Duero, Rueda and Toro. It is offered an interesting pairing with different cheeses from the regions where the wines are produced. Price/person (VAT included): 20 €. Activity available for groups of 6 people or more. Guided electric bike ride with El Regalo estate destination where the visitor will learn about the characteristics of the land which provides high quality for the icon wine. Izadi Blanco tasting in the hermitage next to the vineyard and tasting of Izadi El Regalo in the barrel room of the winery. Price/person (VAT included): 20 €. Available from 15th March to 15th November. Maximum of 6 people. Exclusive wine tour to the winery facilities that continues with and interesting coupage experience of single-variety wines for designing a special wine. Tasting of Izadi Selección accompanied by a small appetizer. Price/person (VAT included): 40 €. Maximum of 6 people. 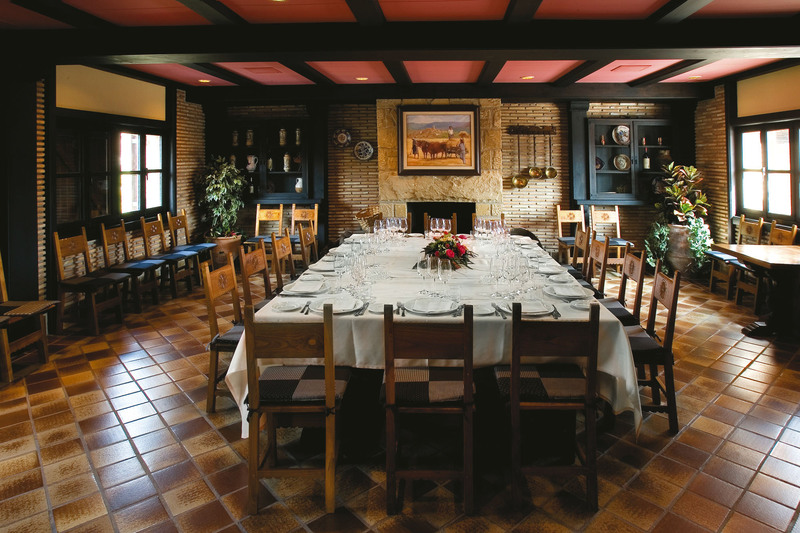 Our winery offers three comfortable dining-rooms for traditional cuisine ideal to accompany our wines. The minimum number for a reservation is 10. Izadi can also be the perfect location for meetings and events. It boasts a board room with audiovisual equipment and wifi, in addition to different spaces. Contact for more details. Being member means owing one barrel or 240 bottles of our Izadi Club de la Barrica Reserva with a personalized label. Apart, the members can enjoy a number of advantages for the purchase of other wines of our group as well as the access to facilities and winery events.